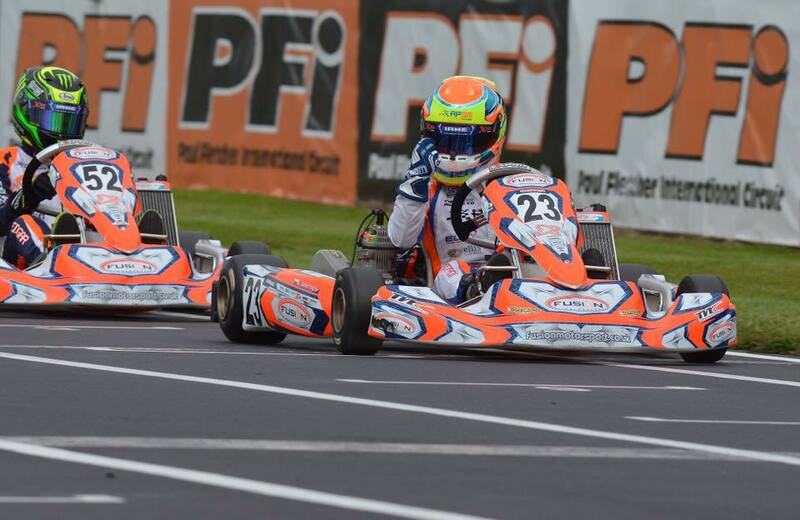 MDM Designs have been working with Fusion on the design on their Kart Graphics and Racewear since 2014. 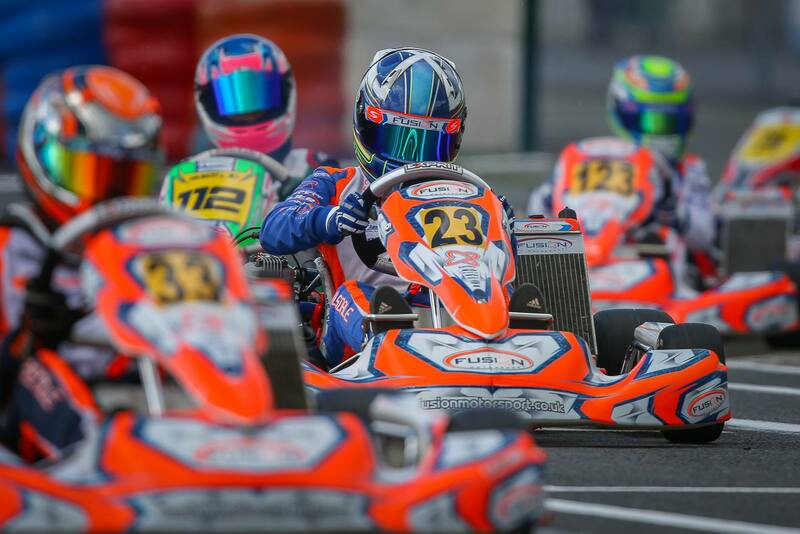 Fusion Motorsport have a Cadet Team, X30 Team and an OKJ / OK Senior European Karting Team. We have been working on the main designs for all three teams in the 2017 Season, alongside doing the annual Kartmasters Special Design that we design every season as a one-off special. The general design of the Fusion Motorsport team has always stemmed with the Blue and Fluo Orange colourscheme, which has been updated and modified year by year with various background elements, special effects such as holographic / chrome and matte laminated finishes to always keep them at the forefront of design - keeping their image at the front of the pack, like where they spend most of their time racing! 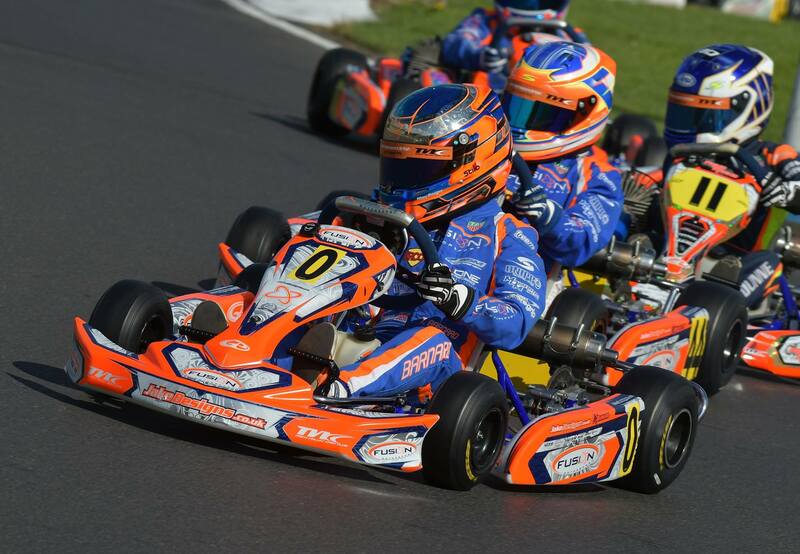 Last season saw the creation of the X30 team, leading to converting the kart graphics kit from the MK14 Cadet bodywork, onto the OTK M6 bodywork for the larger Exprit Karts that the team ran. At the same time, the choice was taken to change the main background colour to white, further differentiating between the two teams - whilst keeping the traditional Fusion colour-scheme. 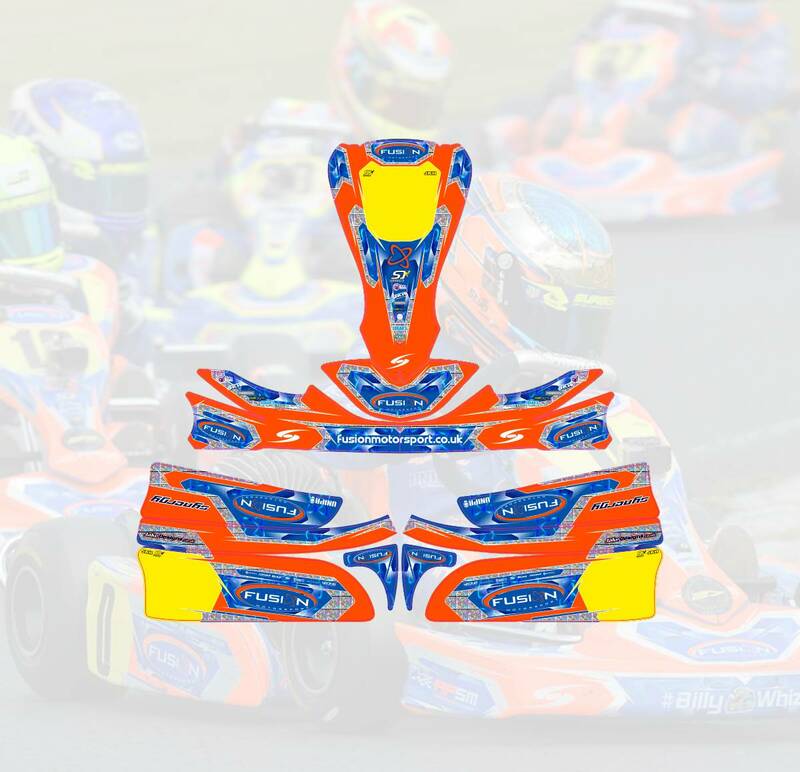 Alongside the kart stickers, we have designed up the kart accessories such as the Tank Stickers, Chainguards, Lap Timers, Floortrays and Rear Bumpers. To complete the paddock look, we have created designs for Toolboxes, Pressure Gauges, Stopwatches, Workbenches and more for the mechanics wear that tie in with the kart designs. Matching with the complete kart graphics designs that we did for Fusion, Custom Racewear for Freem Racing Suits, Race Boots and Custom Teamwear for Fleeces, Softshells, Polos and more were made to complete the entire corporate look for the team. 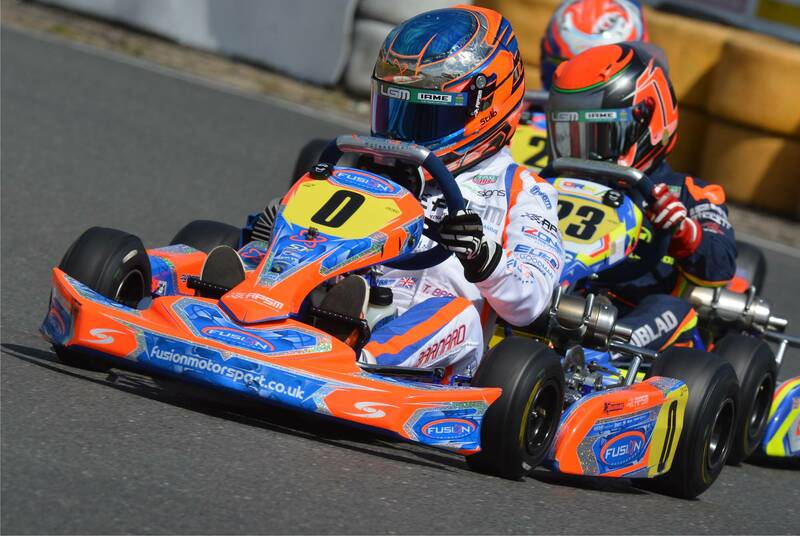 Kartmasters is always the time of year when we come together to create a one-off design for the British Kart Grand Prix. This season we combined a matte laminated white, fluorescent orange and dark blue design, with background chrome dazzle tribal and blue chrome circuitry effects for the Cadet Team. 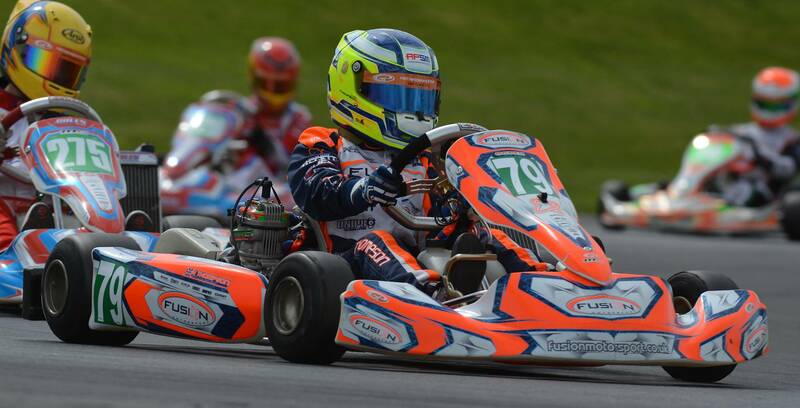 Taylor Barnard went on to take the Kartmasters title for the team, making it two years in a row that an MDM Designed Fusion Kartmasters Kit has won the major Cadet GP Plate. Visit our gallery for a range of images of the Fusion designs we have made over the years, as well as the ones for each of the three teams and special editions.